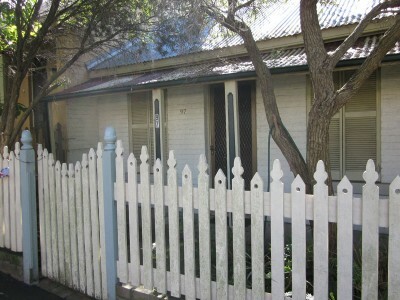 Bessie Guthrie, an early feminist, lived in this house all her life. She helped found Elsie Women’s Refuge, the first women’s refuge in Australia. In 1974 Guthrie, together with Anne Summers, Jennifer Dakers and others of the Women’s Liberation Movement squatted in two vacant houses, 73 and 75 Westmoreland Street to found Elsie Women’s Refuge Night Shelter. The first women’s refuge in Australia, it shifted to 108 Derwent Street in 1975 before moving to its current address.